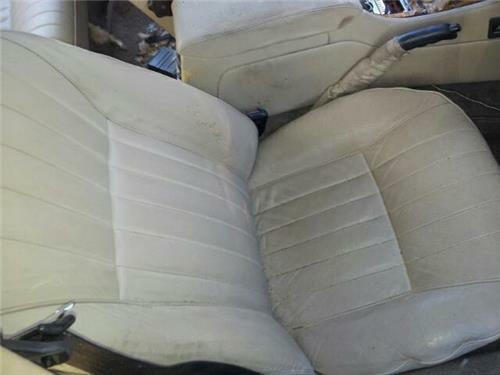 Up for Sale is a JAGUAR XJ40 1988 original Leather seats. The car was a beatiful XJ40 & unfortunately was written off by the Insurance company. The seats are in very good condition & have had sheepskin seat covers fitted for years which have preserved them. There is some drying up of the seats but will clean up well & benifit from leather conditioner. It is complete with front & back leather seats. They can aslo be fitted to a earlier model Jaguar such as a Mk2 with some modifications & look great.